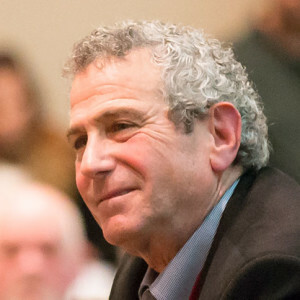 Providence Health & Services is establishing the Providence Institute for Human Caring and has attracted a national expert and advocate, Dr. Ira Byock, to lead its formation. The institute represents a major commitment by Providence to accelerate value-based and whole-person health care for frail elders, seriously ill or otherwise vulnerable patients and their families. The institute will bring greater attention to the personal side of illness, dying, caregiving and grieving. Our goal is to offer clinicians the resources, training and support they need to have meaningful conversations with patients and families about underlying worries and desires related to a medical condition, so that together they can develop the best approach to care. We also will reach out to our communities to help people understand how they can be more engaged in their own care, how to support loved ones who are experiencing medical issues and how best to cope with the strains of caregiving and, later, the strains of grief. The new institute is based at Providence TrinityCare Hospice in Torrance, California, and will support clinicians, patients and families across the five states Providence serves and others nationwide. Studies show most Americans want to spend their final days at home, surrounded by those they love. Yet about 70 percent of people spend their last days in hospitals or nursing homes. This deprives patients and families of their desired outcomes and raises costs for end-of-life care. Thankfully, we can solve this national crisis. Enlightened programs of clinical services and supportive living have proved that much better care is both feasible and affordable. The Institute for Human Caring will become a national epicenter for this necessary change. Rod Hochman, M.D., CEO of Providence Health & Services, talks with Ira Byock, M.D. For more information visit the Providence Institute for Human Caring web site.